Selective mutism (SM) is an anxiety disorder in which a person, most often a child, who is normally capable of speech, is unable to speak in given situations, or to specific people. Selective mutism often co-exists with shyness or (often-severe) social anxiety. Selective mutism is a disorder affecting both children and adults, but mostly children. Children and adults with the disorder are fully capable of speech and understanding language, but can fail to speak in certain social situations when it is expected of them. It is in presentation an inability to speak in certain situations. They function normally in other areas of behavior and learning, though appear withdrawn and some are unable to participate in-group activities. The behavior may be perceived as shyness by others, and can be linked to social anxiety. As an example, a child may be completely silent at school for years but speak quite freely or even excessively at home. There appears to be a hierarchical variation among those suffering from this disorder in that some children participate fully in school and appear social but don't speak, others will speak only to peers but not to adults, others will speak only to adults when asked questions requiring short answers but not to peers in social situations, and still others speak to no one and participate in few, if any, activities presented to them. In its most severe form known as "progressive mutism", the disorder progresses until the child no longer speaks to anyone at all, not even to close family members. Often, one or both parents of a child with selective mutism have a history of anxiety symptoms, including childhood shyness, social anxiety, or panic attacks. This suggests that the child's anxiety represents a familial trend. For some unknown reason, the child converts the anxiety into the mute symptom. A behavioral program at school (to slowly shape) increasingly appropriate communication. What are some signs or symptoms of selectivemutism? Other symptoms associated with selective mutism can include excessive shyness, withdrawal, dependency upon parents, and oppositional behavior. Most cases of selective mutism are not the result of a single traumatic event, but rather are the manifestation of a chronic pattern of anxiety. Mutism is not passive-aggressive behavior. Mute children report that they want to speak in social settings, but are afraid to do so. Treatment of selective mutism should focus on reduction of the general anxiety, rather than focusing only on the mute behaviors. An effective program involves a slow, systematic program that rewards successive approximations of social interaction and communication. Mute children cannot be tricked, cajoled, or commanded to speak. These approaches to resolving mutism invariably fail. Contrary to popular belief, people suffering from selective mutism do not necessarily improve with age. Consequently, treatment at an early age is important. If not addressed, selective mutism tends to be self-reinforcing: those around such a person may eventually expect him or her not to speak. They then stop attempting to initiate verbal contact with the sufferer, making the prospect of talking seem even more difficult. Sometimes in this situation, a change of environment (such as changing schools) may make a difference. In some cases, with psychological help, the sufferer's condition may improve. Treatment in teenage years may become more difficult because the sufferer has become accustomed to being mute. Forceful attempts to make the child talk are not productive, usually resulting in higher anxiety levels, which reinforce the condition. The behavior is often viewed externally as willful, or controlling, as the child usually shuts down all vocal communication and body language in such situations, which can often be wrongly perceived as rudeness. The exact treatment depends mainly on the subject, his or her age, and other factors. Typically, stimulus fading is used with younger children, because older children and teenagers can recognize the situation as an attempt to make them speak. Some in the psychiatric community believe that anxiety medication may be effective in extremely low dosages but that higher doses may just make the problem worse. Effective treatment is necessary for a child to develop properly. Without treatment, selective mutism can contribute to chronic depression and other social and emotional problems. Most children with selective mutism are believed to have an inherited predisposition to anxiety. They often have inhibited temperaments, which is hypothesized to be the result of over-excitability of the area of the brain called the amygdala. This area receives indications of possible threats and sets off the fight-or-flight response. Some children with selective mutism may have sensory integration dysfunction (trouble processing some sensory information). This would cause anxiety, which may cause the child to "shut down" and not be able to speak. Many children with SM may have some auditory processing difficulties. About 20–30% of children with SM have speech or language disorders that add stress to situations in which the child is expected to speak. A study of adults who displayed SM as children suggests that those with SM are more likely to have suffered abuse, neglect, or trauma. Particularly in young children, SM can sometimes be confused with an autism spectrum disorder, especially if the child acts particularly withdrawn around his or her diagnostician; this can lead to incorrect treatment. Many people with selective mutism have social phobia or other anxiety disorder such as obsessive-compulsive disorder. The former name elective mutism indicates a widespread misconception even among psychologists that selective mute people choose to be silent in certain situations, while the truth is that they are forced by their extreme anxiety to remain silent; despite their will to speak, they cannot. To reflect the involuntary nature of this disorder, its name was changed to selective mutism in 1994. These views on the involuntary nature of this disorder are not without some controversy. Some researchers have contended that it is mainly caused by oppositional behavior, while others maintain that it is the result of anxiety and shyness in general and social anxiety in particular. The incidence of selective mutism is not certain. Due to the poor understanding of this condition by the public, many cases are likely undiagnosed. Based on the number of reported cases, the figure is commonly estimated to be one in one thousand. However, in a 2002 study in The Journal of the American Academy of Child and Adolescent Psychiatry, the figure has increased to seven in one thousand (0.07%). The anxiolytic properties of nabilone, a synthetic cannabinoid resembling the natural cannabinoids, were studied in 25 outpatients suffering from anxiety. The drug was compared with a placebo in a double-blind manner over a 28-day treatment period. Patients were seen weekly by the physician and were rated by the Hamilton Rating Scale for Anxiety and the Patient's Global Evaluation as well as by patient-rated evaluations. The results of the study showed a dramatic improvement in anxiety in the nabilone group when compared with placebo Side effects reported were dry mouth, dry eyes, and drowsiness. Patients did not report any of the subjective "altered state" experience of marijuana. The cerebral cortex is the part of the brain that is vital to cognitive thought and perception of reality. So the use of marijuana by children who do not have these disorders is not recommended because it will hinder the development of this part of the brain by limiting blood flow to it. However, other cannabinoids activate the cannabinoid system just as effectively without suppressing the 5-HT2a receptor that can be used for children suffering other disorders. THC activates all of the cannabinoid receptors creating a feeling of euphoria and regulating the release of neuro-transmitters that cause stress, anxiety, hyperactivity, anger and depression. This makes THC a useful anti-anxiety, anti-depressant and mood stabilizer. All of the medications that are currently available have many nasty side effects. There are no observable negative side effects to the use of THC in treatment of these disorders. This is definitive evidence against the theories that marijuana causes anxiety, paranoia, manic outbursts, aggressive behavior as well as the claim that long-term use of marijuana causes schizophrenia, psychosis and bi-polar disorder. However, as with the long-term use of any anti-psychotic, antidepressant, anti-anxiety and mood stabilizer medication, the sudden and complete discontinuation can cause short-term symptoms of these disorders but not the disorders themselves. The anxiolytic properties of nabilone, a synthetic cannabinoid resembling the natural cannabinoids, were studied in 25 outpatients suffering from anxiety. The drug was compared with a placebo in a double-blind manner over a 28-day treatment period. Patients were seen weekly by the physician and were rated by the Hamilton Rating Scale for Anxiety and the Patient's Global Evaluation as well as by patient-rated evaluations. The results of the study showed a dramatic improvement in anxiety in the nabilone group when compared with placebo. Side effects reported were dry mouth, dry eyes, and drowsiness. Patients did not report any of the subjective "altered state" experience of marihuana. The cells under scrutiny lie in the cerebral cortex. This region processes information from the eyes, ears, skin and other sense organs, regulates movement and performs complex functions such as those involved in thinking, learning and emotions. The cortex contains two major types of nerve cells: pyramidal neurons that excite both local and more distant neighbors, and inhibitory interneurons that act as local dimming switches, shutting down the activity of nearby brain cells. The inhibitory interneurons prevent the brain from taking in and responding to every thought, sight or sound it encounters. They also protect against runaway excitation such as that seen in epilepsy. In previous work, other researchers had found that pyramidal cells manufacture and release cannabinoids that bind to a receptor on the membrane of interneurons. In this process, called retrograde signaling, the pyramidal cell does the equivalent of slipping its guardian interneuron some sleeping pills. It frees itself from inhibition by releasing cannabinoids that briefly decrease the interneuron's ability to release inhibitory molecules. In contrast, Bacci and his colleagues found that interneurons can drug themselves when they get repetitively excited, triggering a self-inhibition process. The class of interneurons the researchers studied, the so-called "LTS cells" of the cerebral cortex, manufacture and release cannabinoids that bind to their own cannabinoid receptors and shut down their ability to signal other neurons. By shutting themselves off, the interneurons block their quieting action on the excitatory pyramidal cells an effect that can last as long as 35 minutes, much longer than what had been seen with retrograde inhibition. Without the quieting effect, pyramidal cells signal more intensely, triggering a higher level of activity in circuits of the cortex. Prince said, “It’s too early to know exactly how marijuana binding to the cannabinoid receptor exerts its behavioral effects. However, because the interneurons inhibit cells that have such wide-ranging effects, it is no surprise that the drug alters how people perceive the world around them. A loss of inhibition in pyramidal cells could produce changes in perception, in motor function and in everything the cerebral cortex does," he said. The researchers suggest that there is a positive correlation between increased adult neurogenesis and modified behavior following chronic cannabinoid treatment. These data expand the existing knowledge about the positive roles cannabinoids and their receptors play in brain processing and medicine. Moreover, cannabinoids are perhaps the only illicit drug that can enhance adult neurogenesis and subsequently modify behavior. CB (1) receptor as a potential therapeutic target for the treatment of alcoholism, depression, anxiety and schizophrenia. 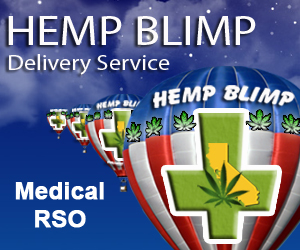 Cannabidiol (CBD) decreases activity of the limbic system that decreases social anxiety. Best: High CBD Indica dominant hybrid. 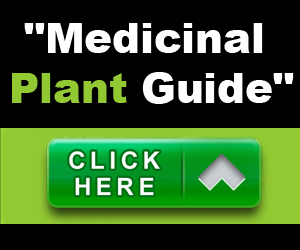 Use extracts, butter, tinctures, decoctions, edibles. Cannabis as pharma co-therapy. SM has just recently been recognized as an anxiety disorder. It is vastly under recognized. Not much in the way of research either. Poor guidelines for management of the problem. SM overlaps with social phobia. Selectivemutism is “the most misdiagnosed, mismanaged, and mistreated anxiety disorder of childhood." 3. Paez, P.; M. Hirsch (1988). "Oppositional disorder and elective mutism". Handbook of clinical assessment of children and adolescents 2: 800–811. 4. Steinhausen, H. C.; C. Juzi (1996). "Elective mutism: an analysis of 100 cases". Journal of Amer Academy of Child & Adolescent Psychiatry 35 (5): 606. 7. SMart Center: What is Selective Mutism? 10. Johnson, Maggie; Alison Wintjens (2001-06-21). The Selective Mutism Resource Manual. Speechmark Publishing Ltd.ISBN 0863882803. 11. [dead link] Ricki Blau. "The Older Child or Teen with Selective Mutism"
19. "The Terminator Decoupling". The Big Bang Theory. March 9, 2009. No. 17, season 2.